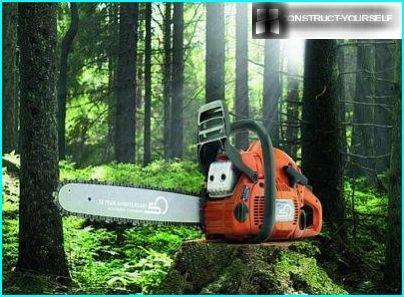 Dacha construction and repair can not do withoutuse of chain saws, as well as gardening. Due to the instrument malfunction may get all the work, so it is important to be able to disassemble it, find the problems and fix them. With enough experience and skill can even adjust the chainsaw carburettor - a complicated procedure, and more specifically, the jeweler. How to spend on setting procedure, and we suggest you make out today. When adjustment is necessary at all? 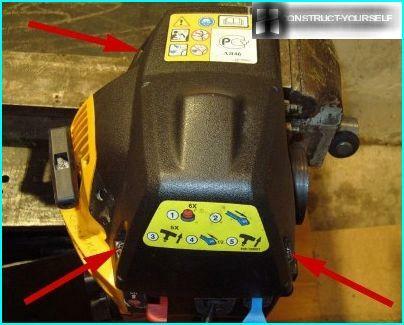 No repair action is not without the knowledge bases of the mechanism of the device. 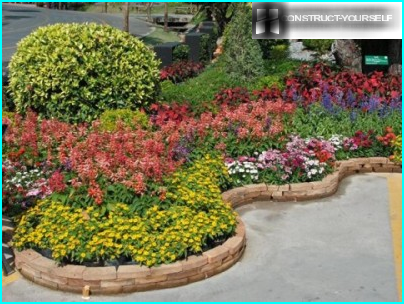 Analyzing the constituent elements and principles of work, it is easier to determine the cause breakage. 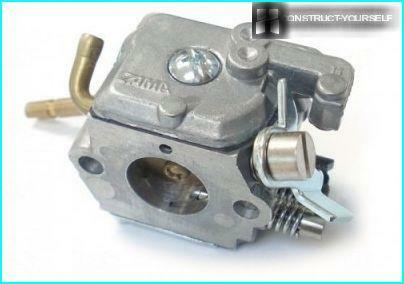 Carburetor - one of the main functionalengine parts, which serves for preparing and supplying a fuel mixture consisting of certain proportions of fuel and air. Once the proportions are violated - the engine starts to "act up", if not stop working. Tube with transverse damper for adjusting the air flow. Diffuser - the restriction to increase the air flow rate is about the fuel supply inlet port. Spray from which fuel flows (fuel needle in the diagram). The float chamber, regulating the fuel level at the channel inlet. Principle of operation: air stream in the diffuser atomizes fuel, creating a mixture coming into the cylinder. The larger the amount of fuel supplied, the higher the engine speed. 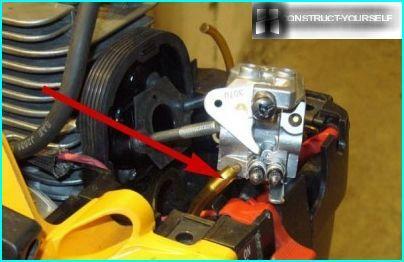 Carburetors work on different models of the same scheme. Once the engine starts, it immediately stalls. As an option - do not start. The reason is an excess of air and fuel shortage. The increase in fuel consumption, and as a consequence - large amounts of exhaust gases. This is due to a reverse process - the mixture of fuel saturation. Due to strong vibrations damaged the protective cap as a result of losing all three bolts installed fixation. Because of the wear of the piston engine. 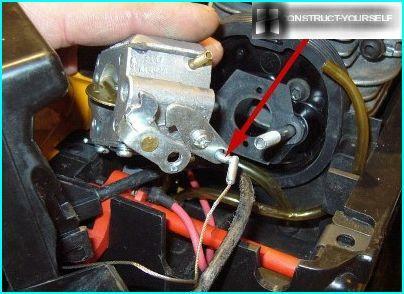 In this case the chain saw carburetor adjustment will gain only for a while, it is better to replace the worn-out part. Due to the obstruction, which occurs due to low-quality fuel, scale or filter damage. 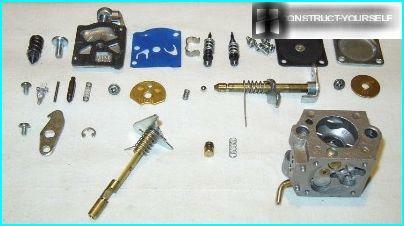 Carburetor requires complete disassembly, cleaning and adjustment. 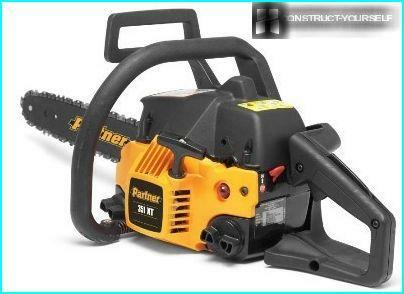 The device carburettor models of various brandsalmost the same, so let us take for example a chainsaw Partner. 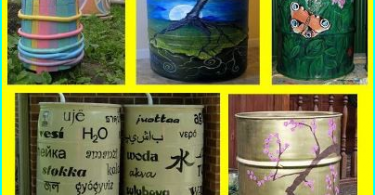 Each item carefully remove and put in order, to make it easy to collect. The top cover is removed by loosening three screws. After her - foam, an integral part of the air filter. Then remove the fuel hose behind him - drive traction. Next, remove the cable lug. Left from the union contract the gasoline hose. Carburetor finally disconnect, it is ready foradjustment. 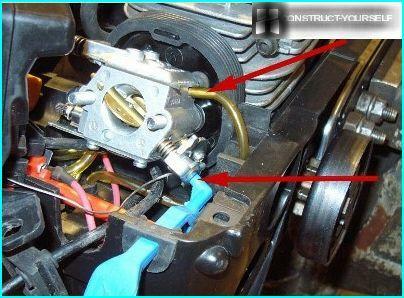 Its mechanism is quite complicated, so if you need further disassembly of the carburettor, the elements should be removed very carefully - they are small, so they can be lost. 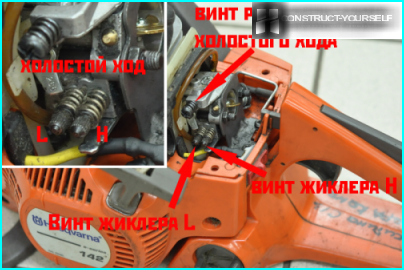 To learn how to adjust the carburetor on the chainsaw, should learn to distinguish between the three screws (on some models only one). 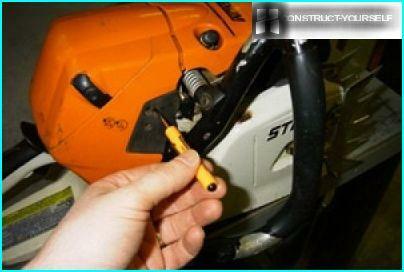 "T" is necessary to adjust the idle speed (models with one screw only present one). Factory setting is optimal, and with screws adjust the engine in special situations (work related to different climatic conditions). The setting is done only with screws L and N. In order to increase turnover, they are rotated clockwise. In order to reduce - counterclockwise. 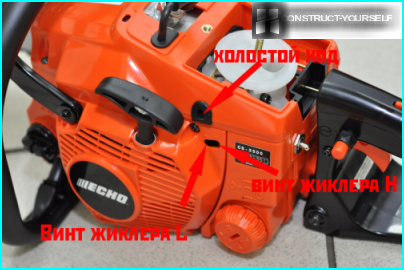 The sequence of use of screws: L - N - T. If there is any doubt about the adjustment, it is better to consult a specialist, since improper adjustment of the ability to bring the engine down.